This one’s for the birds – or, the dogs, as the case may be. In order to avoid a lawsuit, Seaside Heights has been forced to cancel its National Dog Day celebration, which was planned, which had been scheduled for this Wednesday, Aug. 31. The second annual event was supposed to have featured vendors and dog treats on the boardwalk, presentations by the Ocean County Sheriff’s Department K9 unit and more. 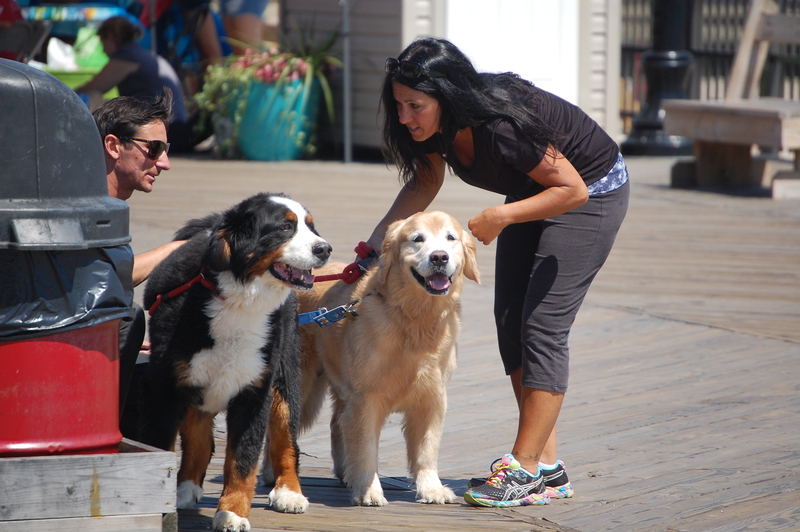 Dogs, of course, were to be welcomed onto the boardwalk and beach for the day. While man’s best friend will still be allowed to stroll the boards and hit the sand for the day, the larger event had to be canceled after the borough received a letter from an attorney representing a person who owns the trademark for “National Dog Day,” said Borough Administrator Christopher Vaz. “We were advised that in order to use the trademark the borough would need to become a corporate sponsor for $20,000,” Vaz said. Seaside Heights had not budgeted an extra $20,000 for the event, so to avoid litigation, Vaz said the decision was made to cancel it. Shorebeat looked into the matter, and through a public records trademark search, determined the name was registered by Colleen Paige. The status of the trademark, however, was listed as “dead,” due to “failure to respond or late response.” Paige did not immediately respond to a request for comment via e-mail.